In the second half of the twentieth century, Germany became the dominant political and economic power in Europe - and the arbiter of all important EU decisions. Yet Germany's leadership of the EU is geared principally to the defence of German national interests. Germany exercises power in order to protect the German economy and to enable it to play an influential role in the wider world. Beyond that there is no underlying vision or purpose. 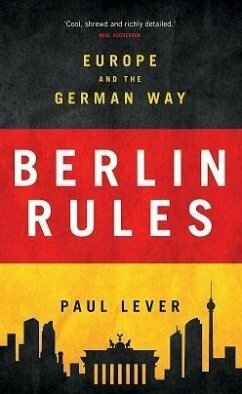 In this book, former British ambassador in Berlin Paul Lever provides a unique insight into modern Germany. He shows how the country's history has influenced its current economic and political structures and provides important perspectives on its likely future challenges and choices, especially in the context of the 2015 refugee crisis which saw over 1 million immigrants offered a home in Germany. As Britain prepares to leave the European Union, this book will be essential reading and suggests the future shape of a Germany dominated Europe. Sir Paul Lever is the former British ambassador to Germany. He has also served NATO, the EU, and acted as chairman of the Royal United Services Institute. Will the EU Army Ever March?